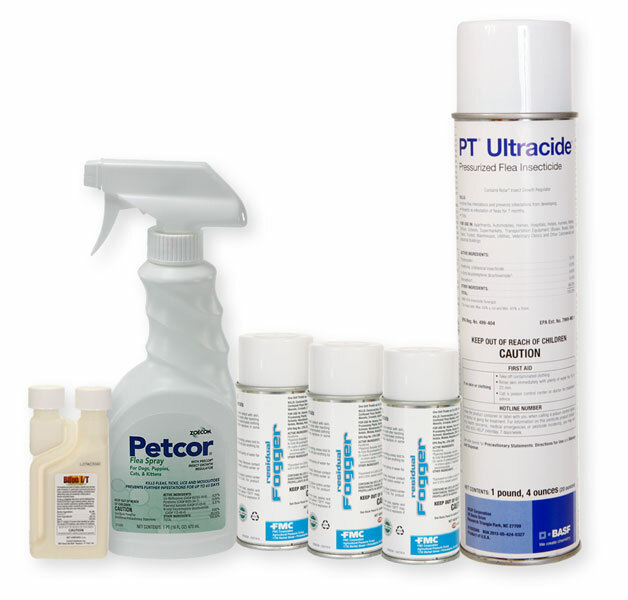 The Ultracide is an aerosol can that is sprayed on carpets, furniture and floors to get control of the adult fleas. The foggers are also used indoors after using Ultracide to get faster control of the adult fleas. Bifen I/T is mixed with water and sprayed on the lawn. PetCor is a pump spray that is used directly on animals. Ultracide and PetCor both contain in IGR or "insect growth regulator" that works on the immature fleas.